Finally a "vacant" day where I can work on pending wire orders, online stuff, and I will also be voting mamaya! Sana walang hassle! Also, I started working on The Fashion Blogger, a talk on fashion, blogging and photography by Bloggers United! 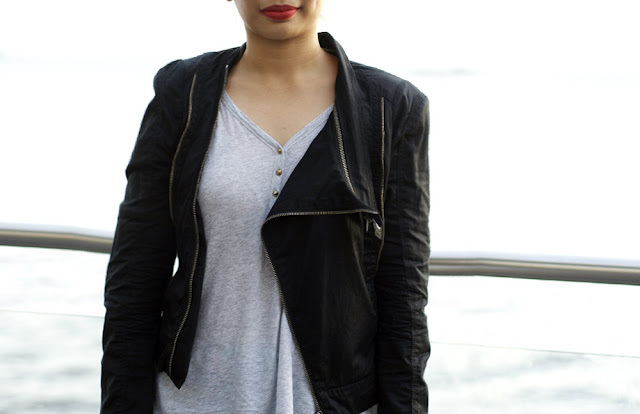 Sasaling pusa kami ni Pax sa talk--she'll tackle styling and de-cluttering your closet. Meanwhile, I'll be talking about accessories making siguro, and maybe even fashion writing. Fun to! The real speakers for The Fashion Blogger will be Laureen Uy, Camille Co, Kryz Uy, David Guison, and Lissa Kahayon! You can read more on that HERE. Thank you Tracy Ayson for the photos! I wore this look during the SM Fashion Forum trunk show, and for the Crocs Beach Line event. Minsan lang din ako masabihan ni Pax randomly na, "Gusto ko yang suot mo, nakakainspire." :) I love the word "inspiring"...Yey, grabe means a lot to me yun! PS: I will be announcing my Mother's Day giveaway winner in a few days! Still choosing the winner of the GAOC teeth whitening GCs! :) Extending the promo, so you can still join HERE! Thank you Rovie! :) Hope to see you soon too!